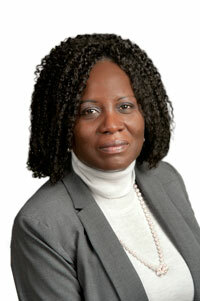 Yemisi Dina joined the Osgoode Hall Law School Library as Associate Librarian and Head of Public Services in June 2006. She was formerly Manager of Adult Services at the Central Library of the Richmond Hill Public Library. Prior to this, Yemisi was Law Librarian at the College of The Bahamas/University of The West Indies LLB Program 2001 – 2005 where she helped establish a law library for the program.She worked briefly as Principal Librarian at the newly decentralized Lagos Campus of the Nigerian Law School, Council of Legal Education. She started her career in 1995 as Law Librarian at the Adeola Odutola Law Library, University of Ibadan, Nigeria. Yemisi was Acting Chief Law Librarian, Osgoode Hall Law School Library from May 1, 2007 – February 29, 2008. Her areas of interest and specialization include; law librarianship, information technology and its application to the delivery of information services, legal research methods, women’s studies, foreign, comparative and international law. She teaches library research in the first year Legal Process course and a number of upper year and graduate courses. Yemisi is widely published. She is active in professional law library organizations at both the national and international levels. Yemisi Dina, Book Review of The Human Rights System, Activist Forces, and International Institutions by Obiora Okafor (2009) 3 Afr. J. Leg. Stud. 137 – 137. The Canadian Legal Information Institute – Nine Years On. Canadian Law Library Review (2009), v. 34, no. 4 p. 182-189.